Olympian, World Champion and America’s Cup living legend, John Bertrand AO, is just one of the stars lining up for the 2018 Etchells World Championship. 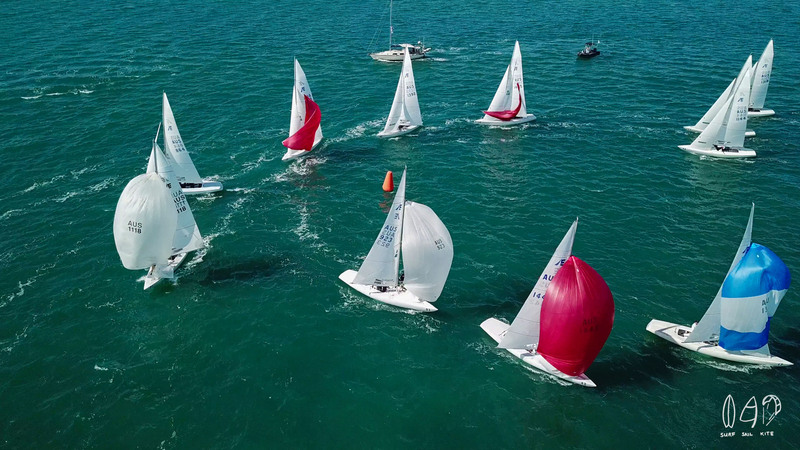 The Royal Queensland Yacht Squadron in the Brisbane suburb of Manly will host the 95-boat strong armada, as they tussle it out to see which crew reigns supreme. Racing begins in earnest on Sunday October 21 and concludes on Saturday October 27, yet many will also take part in the Queensland State Championship that serves as a pre-worlds warm up. 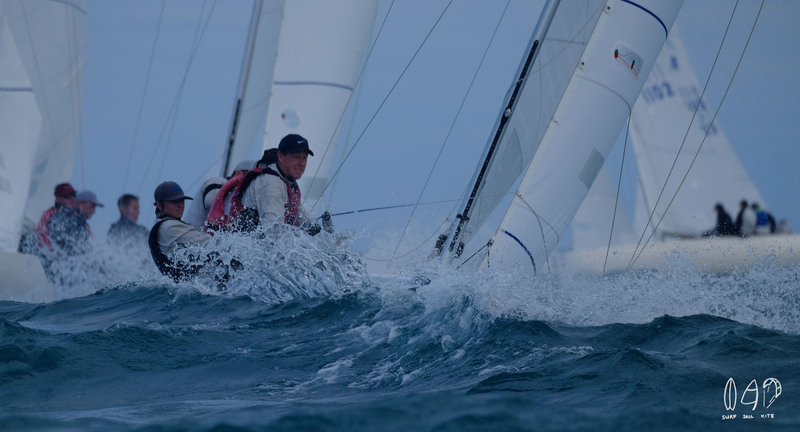 This regatta runs from October 14 to 16 inclusive, yet is often the one you do not want to win, for it seems to put a hex on your chances of taking out the big one. 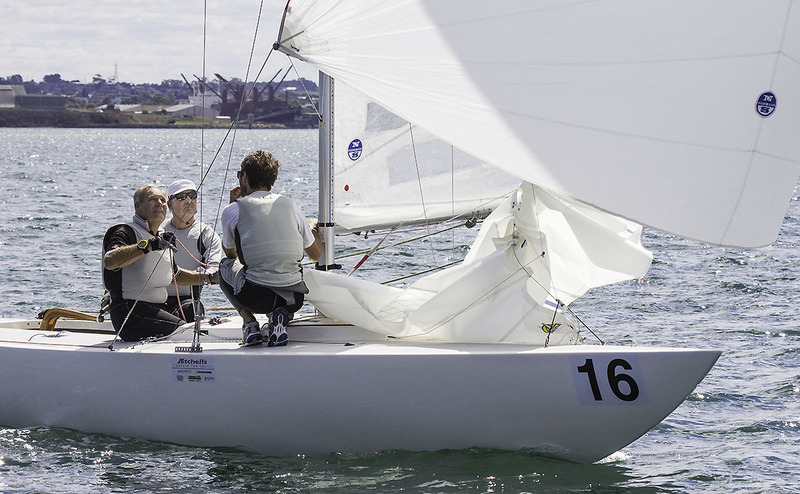 The Etchells are a strict One Design craft for three sailors, or four smaller individuals, with the latter being critical to attracting female and youth athletes to the class. This year they celebrate their 50th year, having been designed by Skip Etchells back in the 60s. Whilst that may be considered old hat by some, the aluminium masts and symmetrical spinnakers that adorn these slipperiest of craft that require superfine tuning, and are so loved by some of the best sailors the world has ever seen. This year alone the regatta has almost ten former Etchells World Champions amongst the fleet, and then there are best on the planet from other classes like the iconic 18-footers, as well as Olympic Medallists, America’s Cup veterans, and winners from the Everest of sailing, the round the world events like the Volvo Ocean Race. Apart from the overall win, crews also compete in the Senior, Master, Grand Master and Corinthian divisions, where appropriate. Now John Bertrand, or JB as he is best known, is sailing Triad2 with Ben Lamb on the bow and Noel Drennan on the main, both of whom have more than enviable CVs across many classes. Ben has just returned from the J/70 Worlds (another 90+ boat fleet), and they are joined for the first time by Drennan, who’s Etchells credentials are simply outstanding. JB collected his 2016 World Championship in Cowes with Ben and Paul Blowers, but had other megastars in Tom Slingsby and Andrew Palfrey on board his famous, Triad, in Howth in Ireland when he collected the 2010 title. “Not sure there is any luck involved for the crew who do manage to take it out. The cream very much rises to the top in a long regatta. It will be an emotional rollercoaster, and a true marathon, both physically and mentally. To give people an idea of the scale of it all, the start line will be 1.2km long, which means you cannot read the sail numbers of boats on the other end of the line.” (The Race Management team have spotters at both ends to account for this). So the crews have all had to qualify, one way or another, and this, combined with the very similar speeds is what delivers another very Etchells phenomenon. 85th v 86th are racing just hard as 28th and 29th, as too are first and second. The result is that there is many a crew story to be had, some of which can be found here. “Given the lack of time together in the boat as a team, and my punter ability on the helm, we have very realistic expectations, and are simply looking forward to sailing with and against great mates, at what we expect will be a world class event at one of the best sailing venues around”, said Farrell in closing. Alas, it takes a lot of people to put something like this together in the first place, and then to run it once it all begins. However, there is no one who would not say that the size of this event is not the result of the drive and enthusiasm displayed by the Chairman of the Organising Committee, David Irvine. Since travelling to Newport, R.I. in 2014 to secure the event for Brisbane, he has been tireless and determined, but also very empowering as he sought to build a team. Now to find out all you need to know about the boats, on the water, off the water, or to register to receive news, simply go to 2018etchellsworlds.org and click away! On heavier days, the Etchells is one wet boat!